In 2018, Dry July funds raised for Cancer Council NSW will go towards the Lilier Lodge in Wagga Wagga. Keith had to travel from Griffith to Wagga Wagga for his cancer treatment. Thanks to the partnership between Cancer Council NSW and Can Assist, he was able to stay at Lilier Lodge in Wagga to avoid the 200km drive each day. When Keith was diagnosed with highly aggressive prostate cancer, his natural instinct was to worry about how his kids would cope. Keith lives nearly 200km from the nearest treatment centre, and needed to be close to hospital for daily radiotherapy. At first Keith’s kids wanted him to stay at his granddaughter’s house in Wagga but he didn’t want to burden her or interfere with her lifestyle. He was eager to stay at Lilier Lodge, which he learned about through his previous fundraising for Cancer Council NSW. Once his family met with the staff and saw the facilities for themselves, they felt much more at ease for him to stay there during his treatment. To make their stay more comfortable, and to offer support throughout treatment, their carers can also stay with them. Keith’s wife Margaret stayed with Keith the whole eight weeks and enjoyed her time getting to know the other guests and carers. 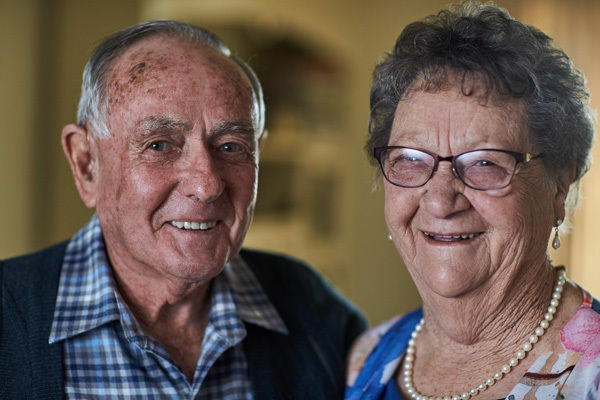 Cancer Council NSW provides accommodation and support for people like Keith and Margaret, who wouldn’t otherwise be able to easily access their treatment.